Faronics, global leader in computer power management and cost reducing IT solutions, announced today that Chaffey Joint Union High School District (CJUHSD) is now saving $350,000 a year by shutting down their inactive PCs with Faronics Power Save. The California based school district joined more than 150 educational institutions in the state when it deployed Power Save’s award winning computer energy management technology on over 4800 workstations. 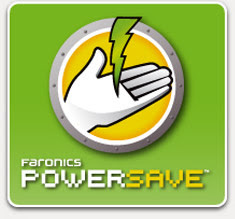 Faronics Power Save provides organizations with centralized computer energy management, allowing organizations to continuously maximize their savings by powering IT down when inactive. Like many organizations interested in using a PC power management solution, CJUHSD was concerned with power management actions taking place at inopportune times, such as when students are working on their assignments and projects. Power Save’s intelligence and ability to detect critical applications and exempt them from Power Management policies made sure no undesired actions ever occurred. “I am extremely impressed by the evolution of Power Save. The latest version(s) include even more savings reports and features that offered further configuration flexibility from when we first installed it,” said CJUHSD Network Specialist David Patzold. Power Save works by analyzing CPU, application activity, disk, keyboard, network, and mouse status before taking power management actions, and delivers enterprise-wide desktop computer energy management. Power Save is non-disruptive, integrates seamlessly with existing IT maintenance routines, and provides organizations with centralized, granular and cross platform PC power management, savings reports, and a rapid proven ROI. Fifteen utility companies in California currently offer rebates up to 100% of the purchase and deployment costs of Faronics’ PC power management solution. The fast implementation and quick ROI payback enable companies to leverage Power Save to immediately deliver true business value. Visit http://www.faronics.com/ rebate for the entire list of qualifying rebates. 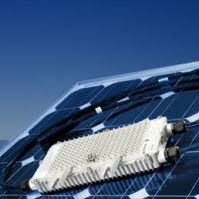 Enecsys Limited announces the launch of the first solar PV grid-connected micro-inverter for both the European and North American markets. A solar PV system based on Enecsys micro-inverters will have improved energy harvest and therefore cut the cost of harvested power by up to 20% over the lifetime of the installation compared with a conventional system using string inverters. The Enecsys solar micro-inverter is also designed for high reliability operation and to have a life expectancy of at least 25 years, thereby matching the life of solar modules to which they are directly connected. In addition, PV systems using Enecsys micro-inverters are simpler to plan, easier to install and intrinsically safer as power conversion from DC to AC is performed at each solar module, eliminating the need for high voltage DC wiring and specialized practices or equipment. Three product versions are available, one for 200W maximum inverter input power, one for 240W and one for 280W. 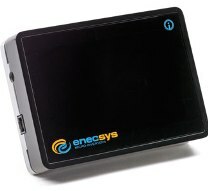 The Enecsys micro-inverters operate with both European (220-240Vac, 50Hz) and North American (110-120Vac, 60Hz) electricity grids. Products are presently CE certified and country specific requirements, including VDE V 0126-1: 2006 compliance, are achieved through the use of specific Enecsys installation products. The North American market certification, UL1741, is expected in July this year. Enphase Energy Inc., the leader in solar microinverter systems, today announced the second close and completion of its latest financing round totaling $63 million. Investors in the round’s second close include Kleiner Perkins Caufield & Byers (KPCB) and other strategic partners. The funds will enable Enphase to accelerate product development, launch global expansion plans and strengthen its balance sheet. The first close of the financing round included existing investors Third Point Ventures, RockPort Capital Partners, Madrone Capital Partners, PCG Asset Management and Applied Ventures LLC, as well as new investor Bay Partners.